Rod is the son of legendary science fiction producer Gene Roddenberry, whose Star Trek series changed the face of television. 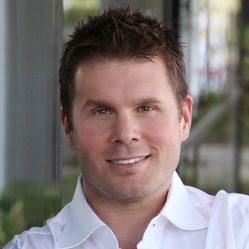 In 2001, Rod became chief executive officer of Roddenberry Entertainment and the company continues to develop and produce an evolving slate of smart, provocative science fiction projects. Rod established The Roddenberry Foundation in 2010 in order to provide support to organizations and individuals addressing critical global issues in the areas of science, technology, the environment, education and humanitarian advances. A certified scuba diver for more than two decades, Rod has undertaken more than 1,000 dives in exotic locations around the world. His passion moved him to establish the Roddenberry Dive Team that recently evolved into Roddenberry Adventures. Through outdoor and underwater activities, its continuing mission is to invite people to discover the beauty and diversity of life, gain an appreciation for the planet we share, and feel motivated toward its stewardship. Add or Update Information for Eugene "Rod" Roddenberry, Jr.